If you love birds singing in your lawn, use this new Bird Feeder to attract birds to your lawn or garden. 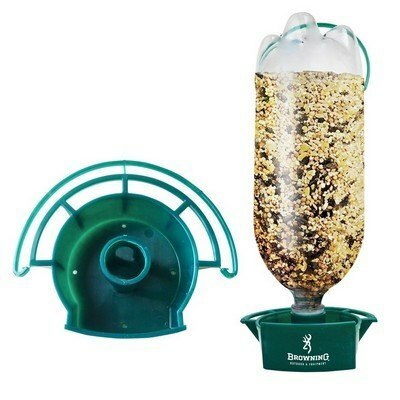 This bird feeder is made of polypropylene material and uses a 2 litre bottle filled with bird seed. If you love birds singing in your lawn, use this new Bird Feeder to attract birds to your lawn or garden. This bird feeder is made of polypropylene material and uses a 2 litre bottle filled with bird seed. You can reuse any 2 litre bottle and make it a sustainable way to feed birds. This bird feeder is a great way to care for the birds and also show your concern for the environment. Imprint your logo and custom advertising message in this innovative product and promote your branding in unique style!